Voice Actress Debbie Grattan chats with Marketing Expert Cindy Malouin on the power of using video for voice over services marketing. As founder of Malouin Marketing, Cindy Malouin has more than 15 years experience in strategic marketing and planning. 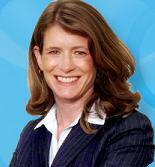 Specializing in business-to-business marketing, Cindy began her marketing consulting practice in 1996. Since then, she planned and implemented innovative and results-oriented marketing programs for a variety of clients in the service sector. Female Voice Actress, Debbie Grattan: If a voice over service wants to create videos on their own without hiring someone, can you recommend any video-related tools or software? Consider the aspects of video including composition. When you’re recording a video you want to make sure that your subject is not in the center of the screen. You also want to think about the sound quality and be very aware of keeping your hand steady, to avoid unwanted shakiness in the final video. Those sorts of things can make your video seem amateurish. Invest in some of the tools, like a tripod, that you need to have it come across as professional. Lighting, which can be a challenge, is also very important. If you can’t shoot outdoors or in the morning when there’s a lot of light make sure to avoid fluorescent lighting and try to shoot near a window so you get natural light. These are just some of the things an amateur videographer can do to make their videos look more professional. Debbie Grattan: You mentioned shooting outside, but does that really relate to a voice over services business? Do you have a suggestion for where a voiceover artist should shoot a video? Cindy Malouin: I think for a voice over service business one of the things you could do is shoot in your voice over studio, which gives you the opportunity to show you at work doing what you do. Shooting in studio can also show the facilities, which is helpful if you’re trying to communicate and convey your capabilities. The other way it can be done is to use a green screen, which is used so you can add in graphics later during post-production or change the background. But I don’t know if the average person has the capabilities to do that—it might require hiring a professional to help with that. Debbie Grattan: Are there some things you tell people to avoid when they’re shooting their videos? Cindy Malouin: Yes, some of things I mentioned earlier, including avoiding using a handheld camera, avoiding fluorescent lighting. But also, avoid having a video that’s too long because people have a limited attention span, especially in this age of social media. You want to engage people in the first few seconds of watching your video, and if you can’t do that in the first few seconds, then they’re going to go elsewhere. You really want to keep their attention by keeping the content very concise and to the point so that they get the meaning of your message and don’t float away to something else. I think one of the biggest mistakes people make is trying to communicate too much information in one video, so keep it short, 30 to 60 seconds. Debbie Grattan: I think content is key and that’s where many people get stuck because they wonder, “What should I say?” “Who am I talking to?” “What’s the most important part of the message that I’m trying to get across?” So can you condense the who, what, why… What is it we really need to consider when we’re developing the content? Cindy Malouin: Start with what do you want the people to do. Start with your call to action and then drive your content towards that. If you can make it conversational and engaging so that you’re personality shines through then that really helps as well. You want to approach it the way you approach any of your marketing and communication endeavors—you want to think through strategically what your messaging is. Think about what you want them to come away with and what you want them to do. If you can add in graphics at the end where you can have your name and phone number, as well as the next thing that you’d like them to do, it’s a great way to end the video.